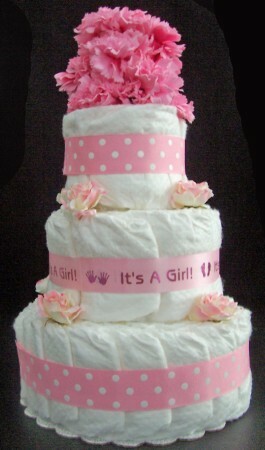 The Little Lady Stinky Cake is a trendy and fashionable cake with an elegance about it. This Stinky Cake is adorned with both classy flowers and ribbons. As far as adorable goes, this takes the cake, well Stinky Cake.